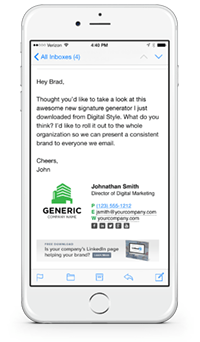 We all know a consistent, well-designed email signature can promote your company’s brand and strengthen relationships, but it can also help drive visitors, leads and revenue! Our ultimate email signature generator contains everything you need to make the most of every email your company sends! Take a test drive then grab your free download and get started today!